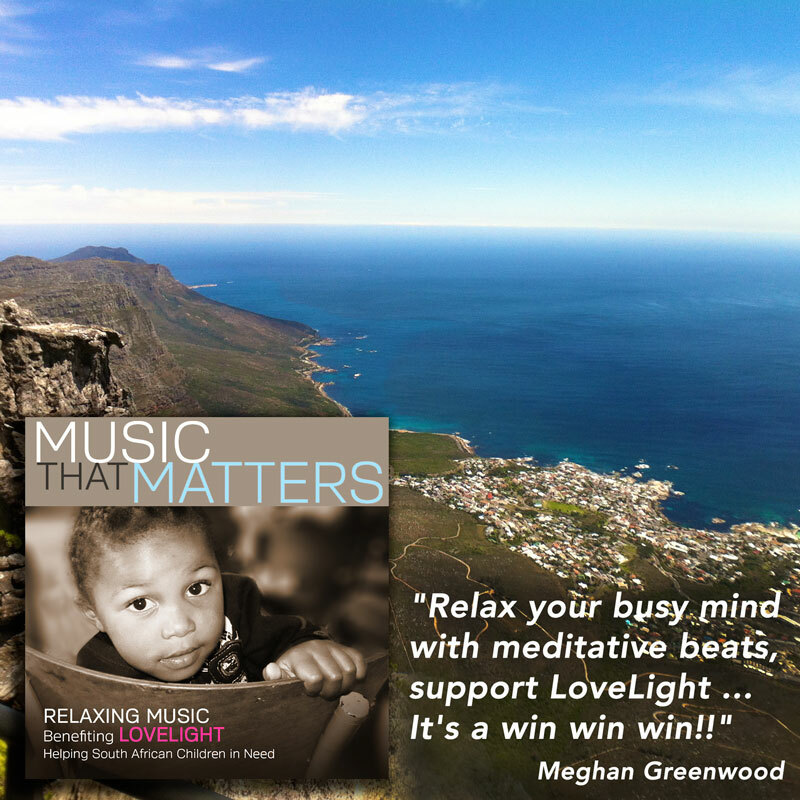 100% of revenue goes to LoveLight serving kids to rise above the circumstances of pandemics like HIV/AIDs and poverty in post-apartheid South Africa. Amazingly, 36 top artists jumped on board and donated some of their best tracks of New Age, Meditative, World Fusion and Relaxing music to this album. 36 remarkable songs, 9 Grammy nominated artists & numerous cutting edge artists with an album valued at $36 for the price of 9.99 on iTunes and Amazon. CLICK Here to buy from iTunes! CLICK Here to buy from CD Baby! LoveLight is a global outreach program created in 2002 initially to support the children and grandmothers of the AIDS orphan crisis in South Africa. It has become a leader in relationships with nonprofit organizations on the ground in South Africa in support of cross-transformation and sustainable assistance. LoveLight is a project of The Light Center, established in 1995.